Mysterious Lake Cerknica – Now You See It, Now You Don’t! 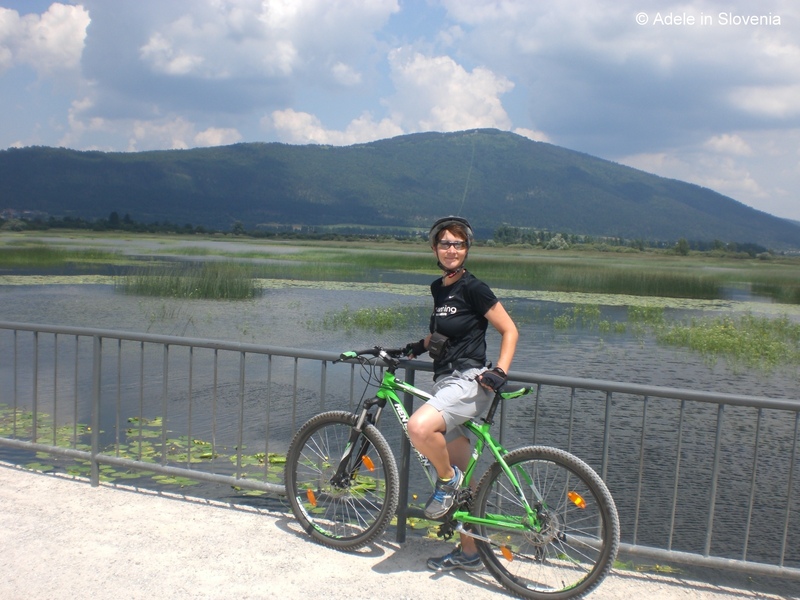 Cerknica Lake is the largest intermittent lake in Slovenia and one of the largest in Europe. For up to six months per year this fascinating, mysterious lake is, well, a lake, filled with water with a mean depth of over 6 metres. During the remainder of the year the water simply disappears, leaving just green, wild flower-covered fields. The lake is fed by a number of openings with a series of subterranean reservoirs or caverns, some of which are above the lake level in the surrounding hills. In dryer months the lake completely drains into the reservoirs lying beneath it, revealing rich vegetation. In the wetter months, the surrounding higher reservoirs fill and discharge suddenly through subterranean passages into the lake, which very rapidly regains its volume and may even inundate the surrounding countryside. A great way to visit, and to get a real impression of the vastness of the lake, is to cycle around the area. At the time of my visit in late June, there was still some water, in places up to 3 metres deep, though it was rapidly disappearing. 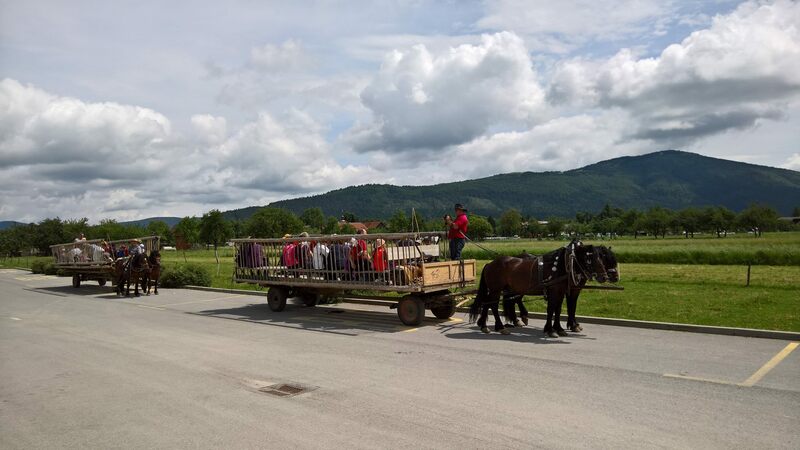 Every weekend bikes and canoes can be hired from the Notranjska Park Information Point, located in the main car park in the village of Dolenje Jezero. You can also, as I did, arrange a local guide for your cycling trip, who will take you to the best vantage points and provide plenty of local information. 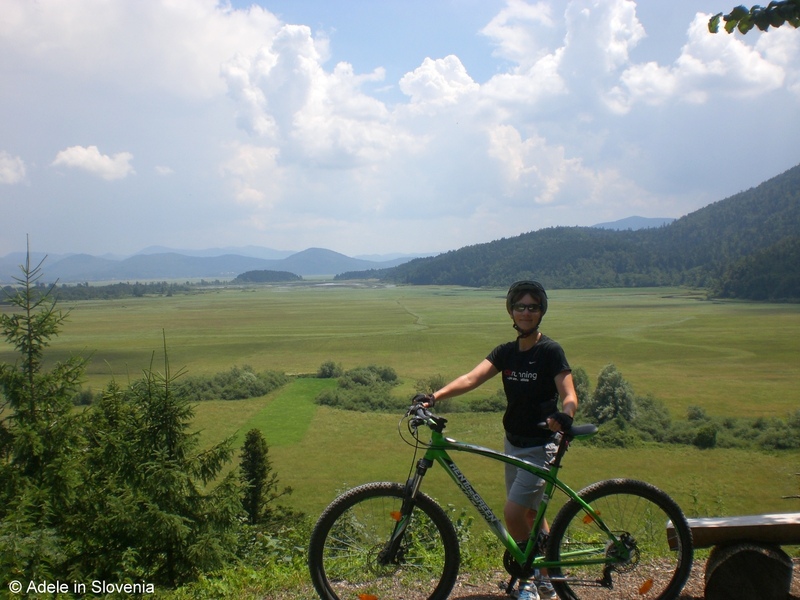 We began by cycling through the valley of the Rakov Škocjan Landscape Park. 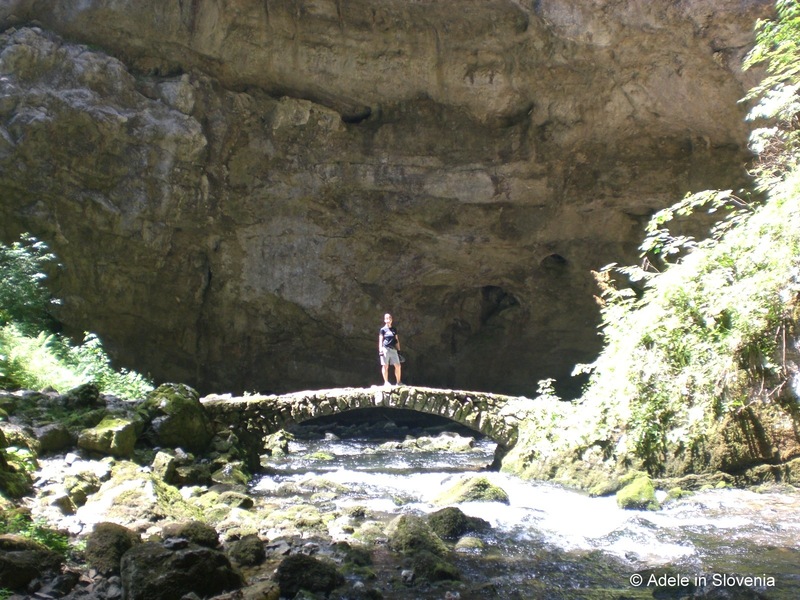 This fascinating natural wonder, packed with karst phenomena, was formed by the Rak river, which springs from the Zelške cave, runs above the surface for 3.5kms, then once again goes underground in the Tkalca cave at the other end of the valley. 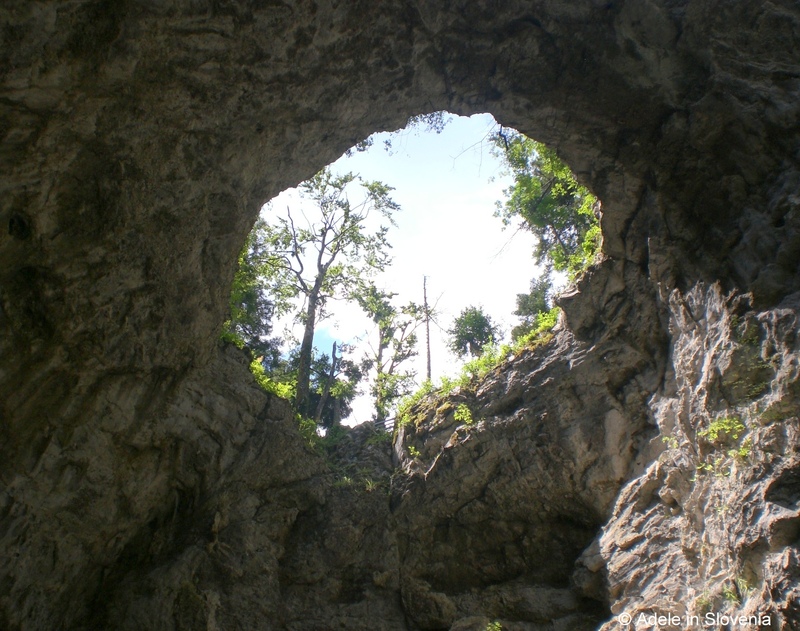 The main attractions are the two natural bridges at each end of the valley – Veliki naravni most (Big natural bridge) and Mali naravni most (Small natural bridge). There is a well-marked walking trail that leads between the bridges and to other parts of the valley and information boards are provided at the main points. 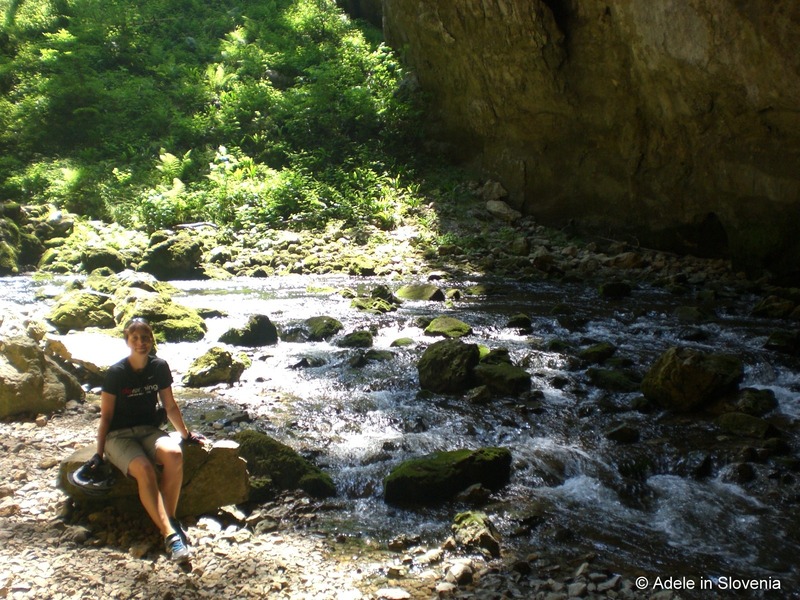 On a hot summer’s day, it was a wonderful place to seek respite from the heat! 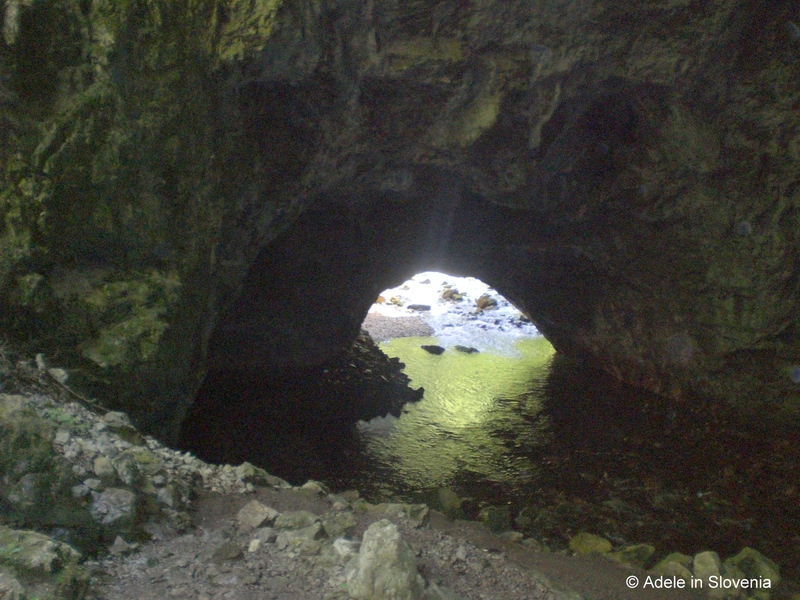 This place offers wild nature at its best, no crowds, just the chance to savour up close the fascinating geological formations, of which there are plenty. You can view them from up above or from down below! We then continued to one of the best vantage points of Cerknica Lake from where one can really get an idea of its size. The whole area that you can see behind me in the photo below, is, for around half the year, a lake. If you look closely you can just see the last remains of the water at the lake’s far end. Although its fascinating to see the lake when it is actually a lake, even if there isn’t any, or isn’t much, water, it’s still worth a visit. 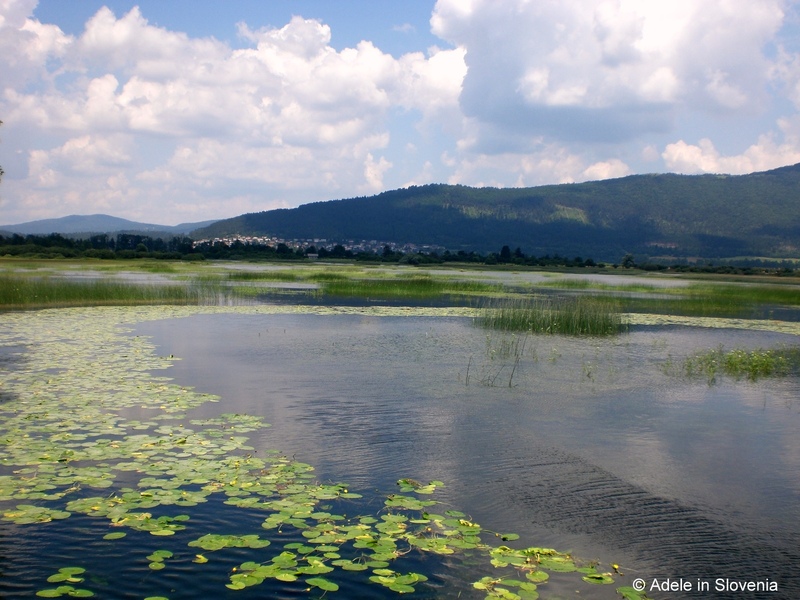 Regardless of whether you visit when the lake is or isn’t, a great way to get a full impression of this mysterious lake is to visit the Museum of Lake Cerknica at Jezerski Hram in Dolenje Jezero. Although it has areas with typical museum exhibits, this is no ordinary museum. It is the impressive model of the lake, hand-built by the museum’s owner Vekoslav Kebe, that is the standout feature. 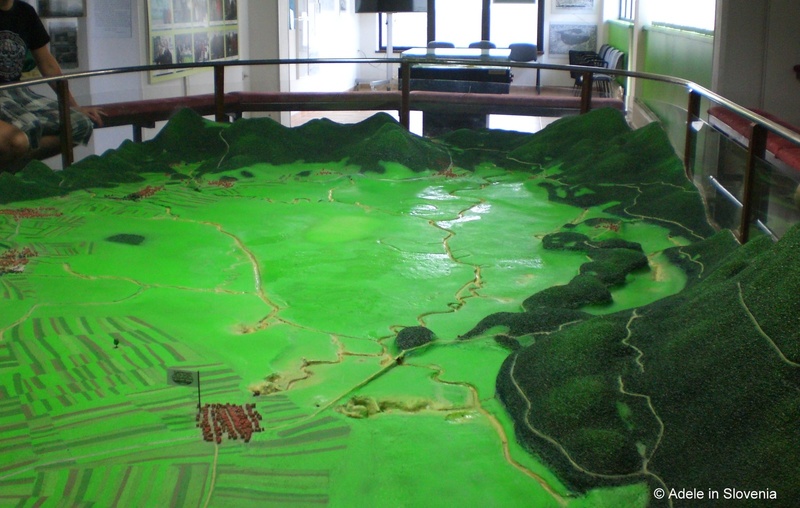 The model, the result of three year’s work, shows the topography of the area as well as demonstrating how, and where, the lake fills and empties. After viewing the model and listening to accompanying commentary and sounds of nature, narrated by Vekoslav himself, visitors move upstairs to watch a multimedia presentation, which is available in a number of foreign languages. 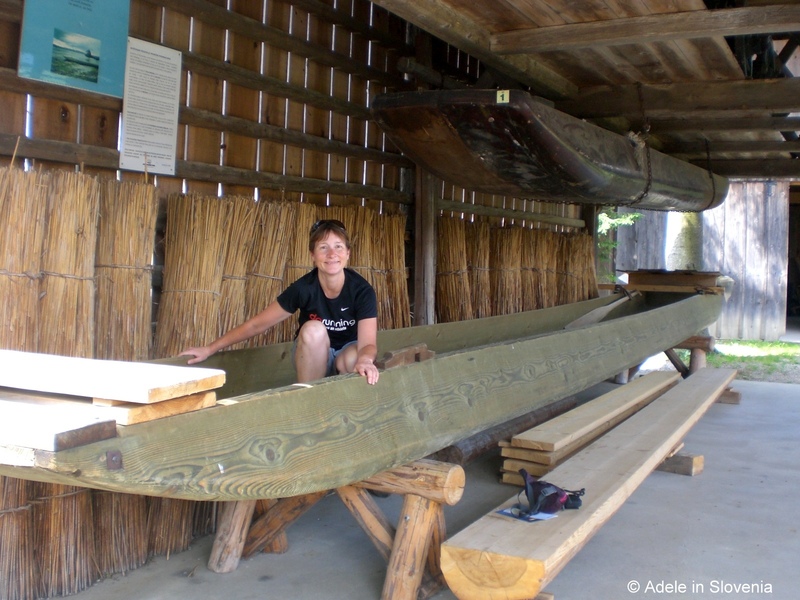 The museum also houses a collection of tools and other implements, used by local at various stages of the year when tilling the fields or fishing on the lake. The museum is open Saturdays at 3pm, and at other times by prior arrangement. 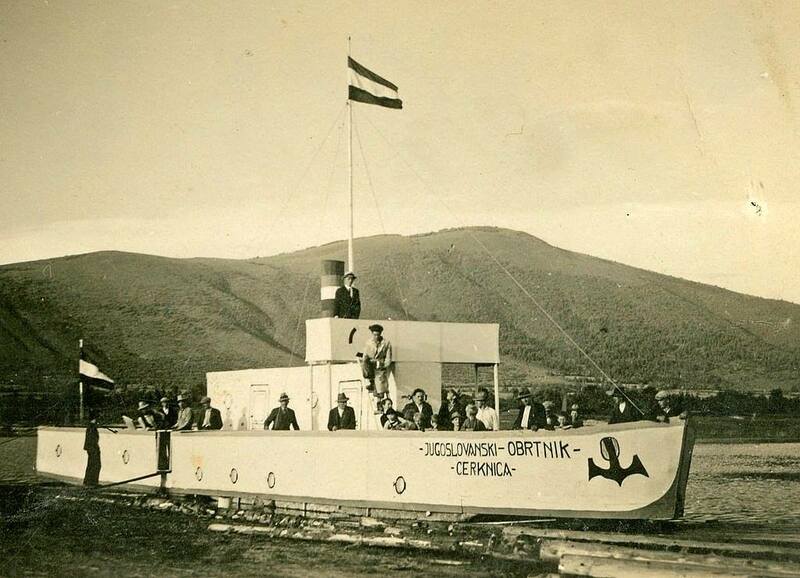 In the past even larger vessels, as can be seen below, sailed on the lake.